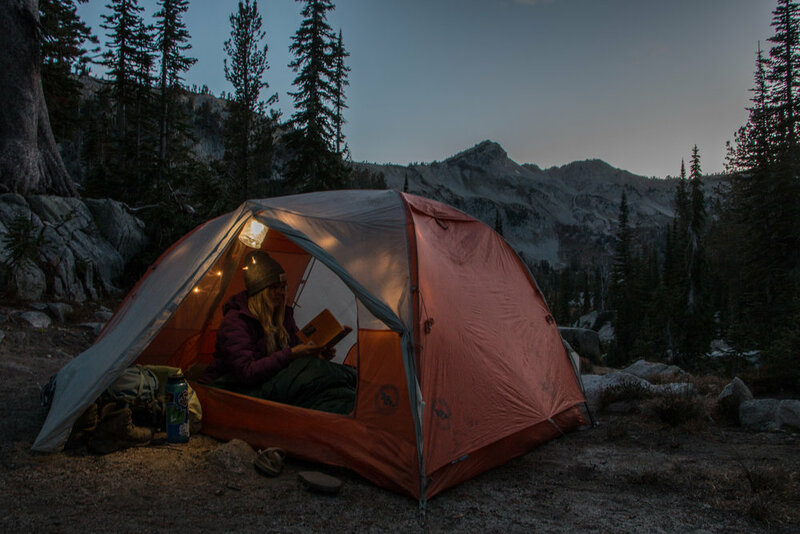 Redefining Wine-and-Dining... in The Wallowas — Hello Adventure Co.
Logan is an avid outdoor enthusiast and adventure seeker living in Eugene, Oregon. She has a Bachelor of Science in Sustainability from Arizona State University, along with a minor in global studies. 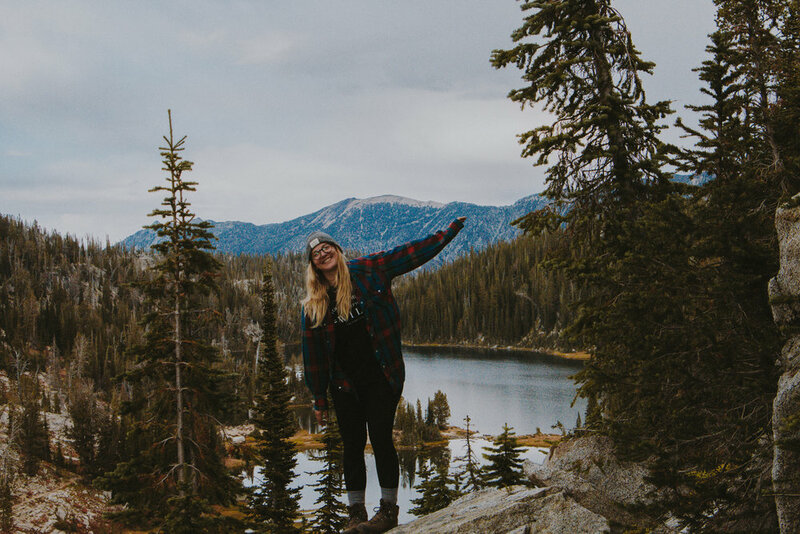 Her full time work as a director of marketing takes up a lot of her time but she uses her weekends to escape to the wilds. 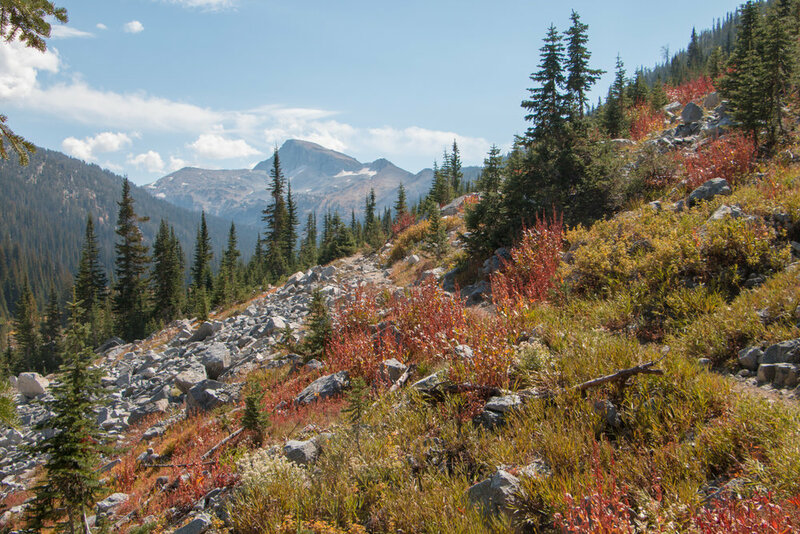 We we’re pretty stoked to plan a fall backpacking trip to the Wallowas, and after seeing Hi, Alpine’s post on the exact same weekend we wanted to go, we decided to go for it. It was the second week of September, so we knew we would be risking snowfall in Eastern Oregon. 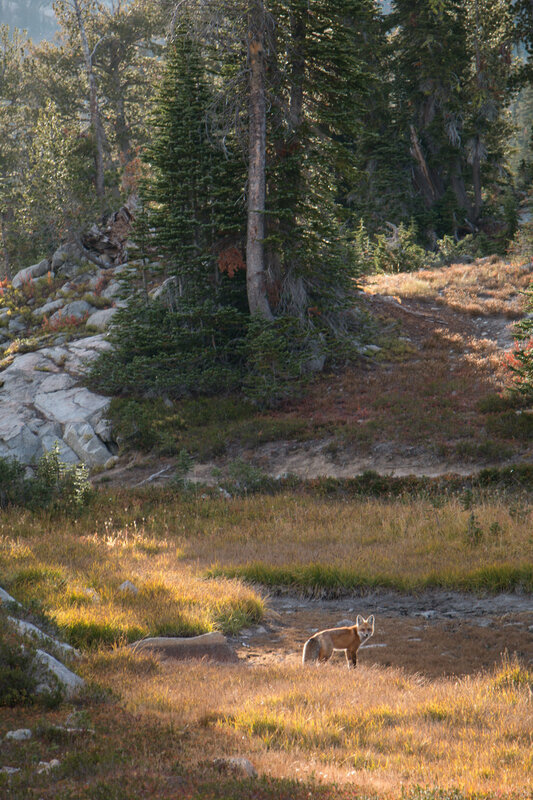 The Eagle Cap Wilderness is the largest wilderness area in Oregon. Why is it so hard to find trail beta and photographs online? It's basically in Idaho and in the middle of nowhere. The trailhead is also about 8 hours from Portland, so we recommend you give yourself at least 3 days to enjoy the mountains here when you come. 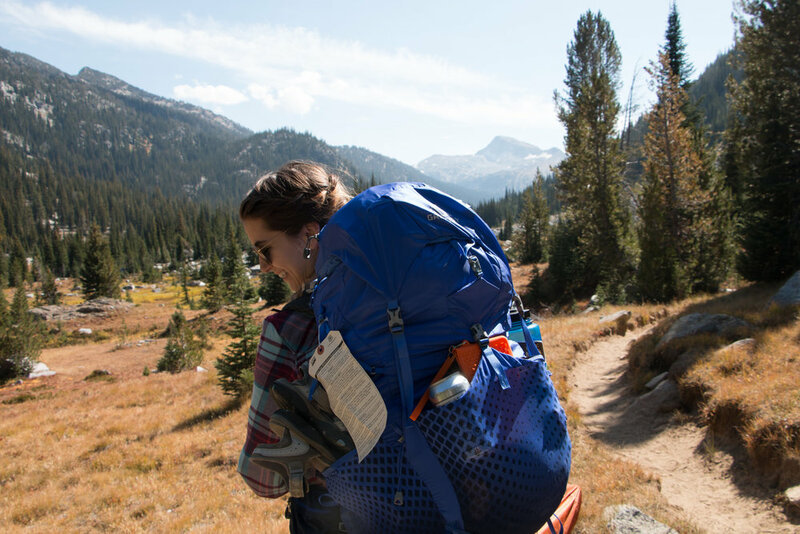 Are you ready for the most stunning fall-backpacking trip + 30th birthday celebration ever? Read on! We drove to the Two Pan trailhead at night, slept in the car, and hit the trail early the next morning. Luckily, rain and snow weren't on the forecast. After shoving as many cans of Union Wine into our bags as we could, we hit the trail. Weather was 70 and sunny (score!) Backpacking in early September is our favorite. Less people on the trail, bearable temperatures, and less sunburn. Our first day consisted of 8 miles and about 1600 feet of elevation gain. Immediately we were impressed with how gradual the incline was, along with the impeccable trail conditions. As we entered the valley we started seeing Eagle Cap mountain in the distance. As you could imagine, the views continued to get better the closer we got to the lakes basin. Mirror Lake was everything and then some. Surrounded by humungous granite walls, douglas fir, and beautiful peaks, we were speechless. 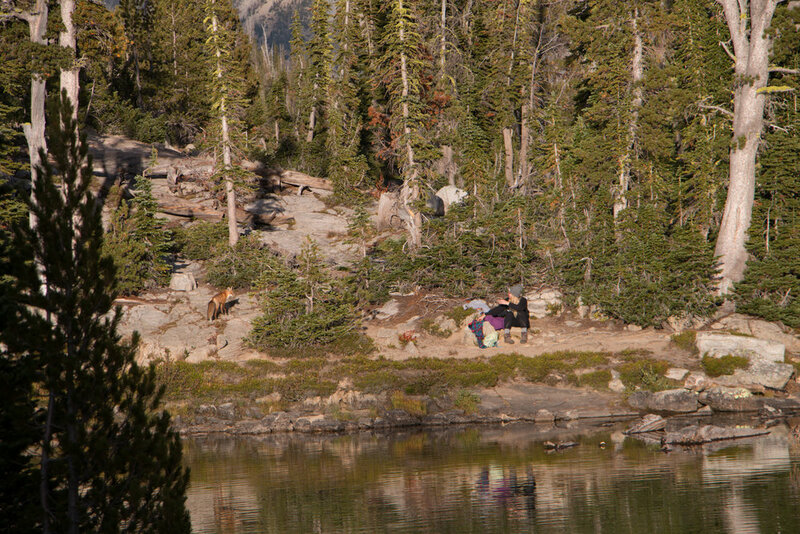 Our park ranger advised us to hike to the left side of the lake for some great camping spots. In this mountain range, you must camp 100ft from the lakes. We had quite a bit of cloud coverage roll in when we got our camp set up. That didn't stop us from running around chasing the golden hour while enjoying a can of pinot noir. Crystal was galavanting around the granite as Logan sat near the water enjoying sunset. Out of Logan’s peripheral vision she saw a fluffy tail next to me. Just as she looked up, she made direct eye contact with a red tail fox. Crystal was so excited to capture this from across the river, she spooked the fox. But damn did she manage to snap some beautiful shots, isn't he beautiful? As the sky continued to darken, the air got cold. It wasn't before long until we were tucked in our tent nestled in our cocoons. Crystal and I maybe made it to 9PM before we passed out. We woke up the following morning for a beautiful sunrise, and ice on the tent. We cooked breakfast right outside our tent door, and warmed up with hot coffee. After the sun started to hit our camp, we packed up for our day hike up Eagle Cap. We knew the hike was 3,000 feet of elevation gain in 3 miles, which took us about 2 hours. Weather was perfect! We were the first to hit the trail, which meant we had the entire summit to ourselves for a half hour. By the time we got back to camp, the sun was hot! We enjoyed ourselves by suntanning and drinking wine (pringles t00). Once the sun went down we were straight to bed. Sad to leave the next day, but excited for a hot shower, we hit the trail back to the car at 8am. With the drive back to Portland being so long, we decided to book a night in La Grande, which is about 2 hours west from the trailhead. After enjoying some delicious Mexican food at La Fiesta in downtown La Grande, we headed to The Landing Hotel, a small boutique hotel nearby. I would highly suggest booking a room here before or after your long drive out east, it really helps make up for all the time in the car! The Landing Hotel is a beautiful building from the 1920s that has been completely renovated. 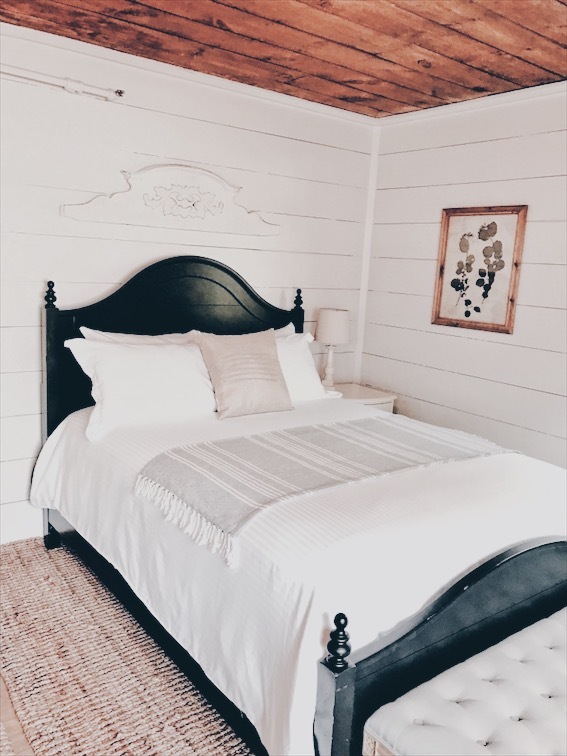 When you walk in you feel like you are in a Magnolia catalog; one that Chip and Joanna Gaines would approve of! We loved that the hotel had it's own bar and restaurant right outside our room. These sore legs didn't want to do much walking. 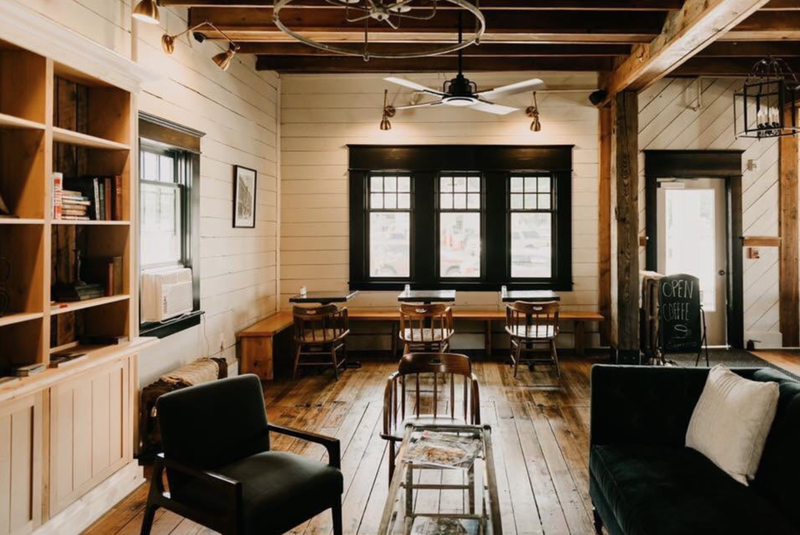 Delicious farm to table food, Oregon only wine, and a lovely rustic atmosphere, you sure feel like you are at home here. I can't wait to come back East when the mountains are covered in snow.